I created this illustration with pen and ink. Today is officially the first day of autumn. Fall is my favorite season of the year. The days have finally started to cool down. Soon the leaves will be turning. There is something mysterious and thrilling about the clear brisk days of autumn, particularly in my native State of Michigan. I love all the signs of fall, the sounds of the Canadian geese overhead, the first frost, the pumpkins and cider. My favorite holiday is coming, Halloween. 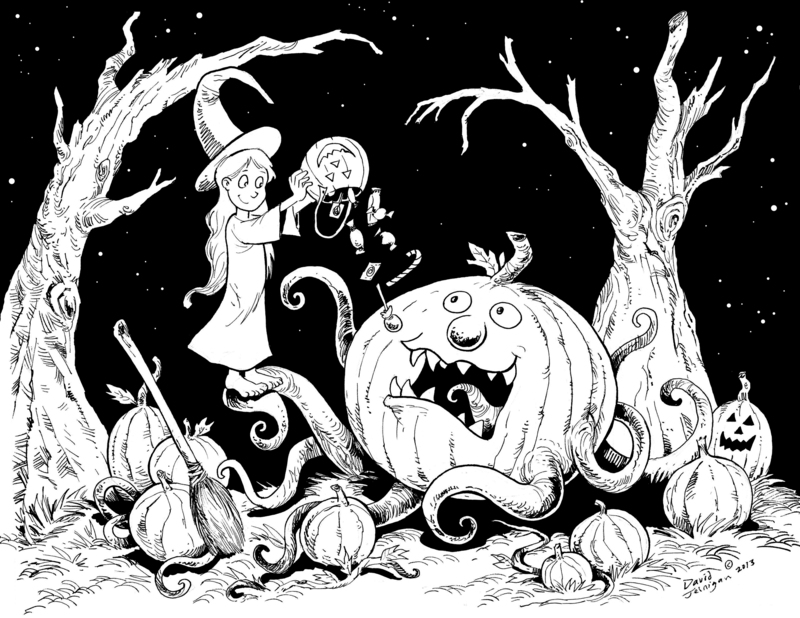 I’ll post some more Halloween illustrations in the next few weeks. This is an image from my comic book drawings. 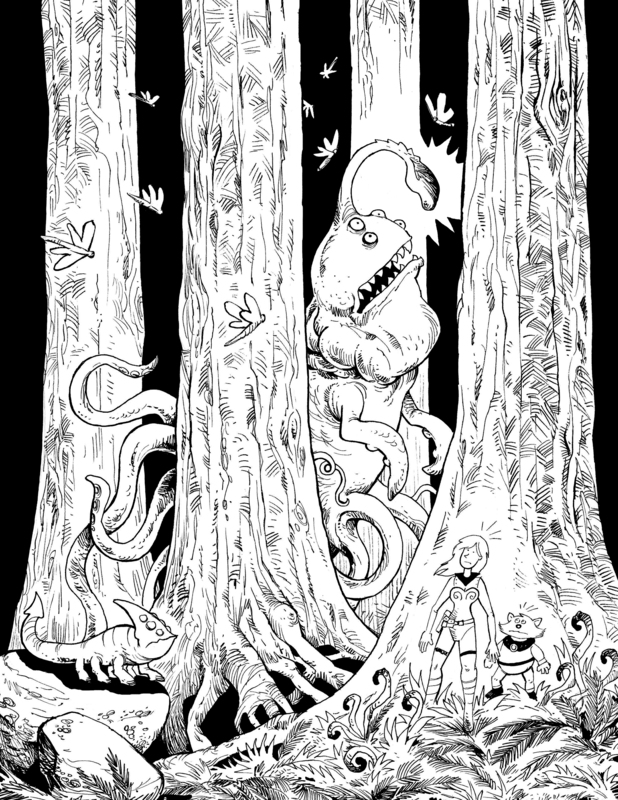 This drawing is of a strange creature in a deep dark forest on an alien planet. I imagined the creature attracts moth like insects using a glowing lure like a deep sea fish. At the bottom of the illustration I have two future space explorers stumbling upon the harmless creature. I mostly used Pigma Micron ink pens to create the drawing. 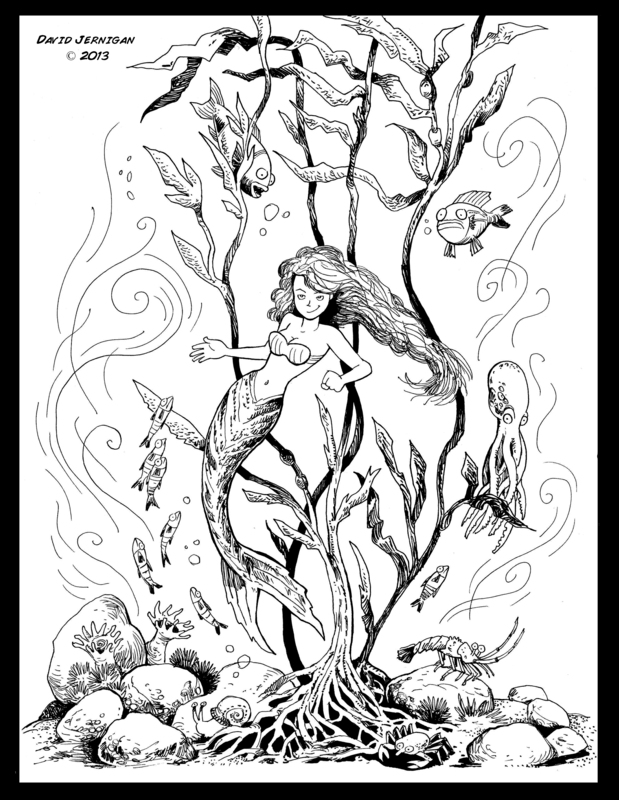 I felt like drawing yet another mermaid, so I did. I used Pigma Micron pens to ink my sketch. This illustration would look nice with a splash of vibrant color. Maybe some other day I’ll add the color.